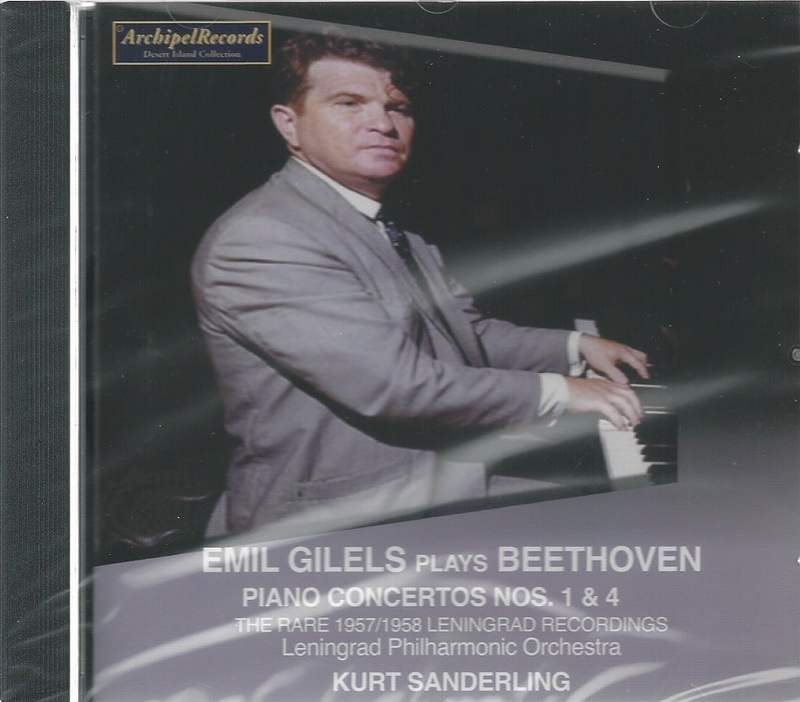 “Emil Gilels, one of the world's great pianists and, in 1955, the first Soviet musician to perform in the United States since Sergei Prokofiev in 1921, was a stocky man with a shock of sandy hair and short, stubby fingers, uncharacteristic for a pianist. But his greatness was widely recognized. Howard Taubman of THE NEW YORK TIMES proclaimed him a ‘great pianist’ on the occasion of his New York debut at Carnegie Hall on Oct. 4, 1955. After his first New York recital a week later, Harold C. Schonberg invoked the phrase ‘little giant’, the term the critic W. J. Henderson had used for the pianist and composer Eugen d'Albert at the turn of the century. Mr. Gilels continued to receive such encomiums throughout his career, both in the Soviet Union, where he had taught at the Moscow Conservatory since 1938, and in the West. Altogether, he made 14 American tours, the last in 1983. On the occasion of his last New York recital, on April 16, 1983, Donal Henahan wrote in THE TIMES of his ‘formidable, high-finish technique and beautiful control of nuance’. Mr. Gilels led the procession of Soviet artists of his generation to the West; others who emerged shortly after his debut were David Oistrakh, the violinist; Sviatoslav Richter, the pianist, and Mstislav Rostropovich, the cellist. Mr. Rostropovich later became an outspoken dissident, but the others remained honored Russian citizens. Together, this group suggested that the traditions of Romantic music-making had not died out in the relatively isolated Russian musical world. ‘The precepts of Leopold Auer still prevailed in violin pedagogy, and the pianists stemmed straight from Anton Rubinstein and the Leschetizky school’, Mr. Schonberg wrote in 1979, on the occasion of one of Mr. Gilels's periodic returns to the American concert scene. But especially in his later years, Mr. Gilels was a more Classically inclined pianist than, say, Mr. Richter. In 1970 he even offered an all-Mozart recital at Philharmonic (now Avery Fisher) Hall, which Allen Hughes of THE TIMES called ‘superbly wrought’. 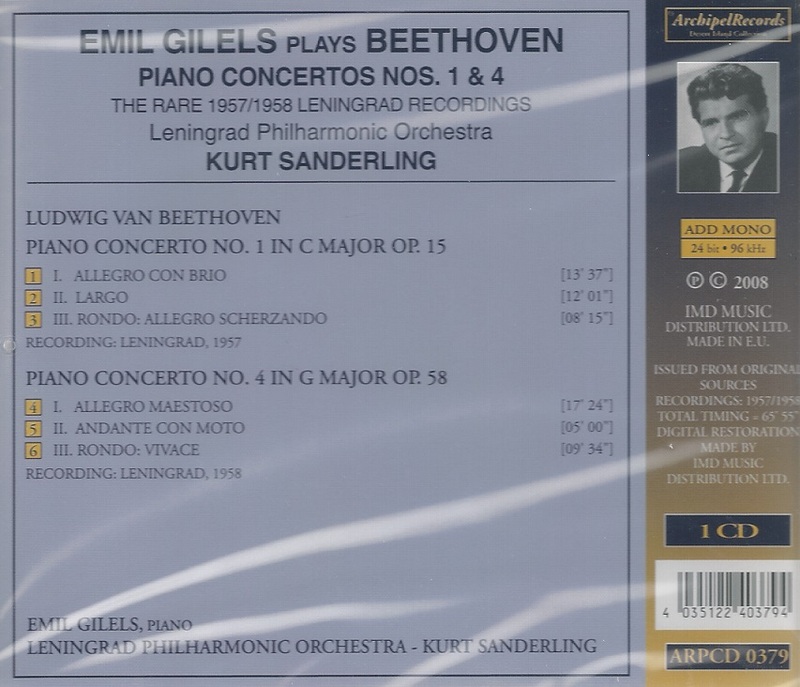 Basically, however, Mr. Gilels was a big, rich-toned pianist who could ride triumphantly over an orchestra in the mainstream Romantic piano concertos - those of Beethoven, Chopin, Liszt, Brahms and Tchaikovsky, all of which he recorded. He wasn't always note-perfect, but he commanded his repertory with an elan that made such flaws seem insignificant. And unlike some powerhouse virtuosos, he had a poetic gift that enlivened slow movements. Emil Grigoryevich Gilels was born on Oct. 19, 1916, in Odessa, a Ukrainian city on the Black Sea that was also the birthplace of Mr. Oistrakh and Nathan Milstein, another leading violinist. He entered the Odessa Conservatory in 1931, and the next year he met the Polish pianist Arthur Rubinstein, who was visiting the city on a tour; the two remained friends until Mr. Rubinstein's death in 1982. In 1933, Mr. Gilels won a nationwide Soviet piano competition. He graduated from the Odessa Conservatory in 1935 and took an advanced degree from the Moscow Conservatory in 1936 with G. G. Neuhaus. 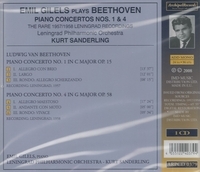 In 1938, he won first prize in an international piano competition in Brussels. Mr. Gilels was scheduled to make his American debut in 1939, at the New York World's Fair, but the outbreak of war prevented that. In 1942 he joined the Communist Party, and his party loyalty sometimes provoked anti-Soviet demonstrations at his American concerts. There were fears of such incidents at his last recital here in 1983, with police reinforcements, but the concert proceeded uneventfully. Mr. Gilels received many prestigious Soviet awards, including the Stalin Prize, the Lenin Prize and two Orders of Lenin, the nation's highest honor.